The world of social media marketing can be complex. To many users, it seems like a jungle out there, and for good reason. It’s tough managing a business, getting new clients and finding the time to post on social media platforms without going crazy. Here are some Twitter tools and Facebook tools that will make your social marketing management easier. Most people have several different social media profiles. That means a lot of updating, checking and messaging in multiple places. Chances are, you’re too busy to add post by post into each and every social media platform you’re a part of hour by hour of the day. Hootsuite is a place to streamline all of your profiles on social media so everyone you know gets your status messages and posts. It’s easy to schedule content and share ideas that your followers and friends will enjoy without logging in and out of each profile. You can have a free account for five social media profiles, and upgrade to a paid plan for more. Social media posts that are shorter are shared more often, and posts with links that can fit into a post or status message are easily sharable. 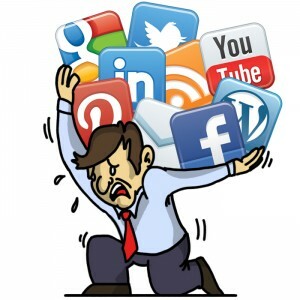 Using Bitly, your giant long links that are too many characters in social media platforms like Twitter are shortened. That means, more people share your content and see your links. Bitly not only allows users to shorten links, but see how many clicks the link has received. Bitly brand tools make analytics easier and link customization simple. Connecting all of your profiles the way Hootsuite does, Sprout Social gives you the ability to post across multiple platforms so you won’t waste time or energy on social media. You can easily engage with your audience, publish messages from your profiles and enjoy integrated analytics that show the response from your social media marketing efforts. Sprout Social has a very attractive and clean interface. Teams can use it together and route messages to the appropriate department when a customer has an issue. Their viral post feature allows users to post messages when their followers and friends are most engaged during the day. Like Hootsuite, you can use it on your desktop and your mobile devices. When a potential customer or loyal client is contacting you through social media, it’s vital that you respond and connect with them. That means knowing who contacts you, when they message you and responding in a timely manner. With HyperAlerts, you’re notified of when this happens on Facebook and Twitter. You can subscribe to any number of Twitter accounts, Facebook pages and search phrases. Decide when to be notified so you can respond accordingly. Choose an immediate notification, or a less frequent notification that works better for you. Social media platforms are places to share valuable content with your customers and build connections with your clients. Find what tools work for you and give your followers information they’ll happily share with their network. Twitter can be a jumble of confusion out there for most users. From followers who count on you for information to lists that track your friends in groups, there’s a slew of valuable communication you want to keep track of. Tweepi helps you flush out the people who don’t follow you back, get rid of inactive accounts you’re following and helps you follow back those who follow you. It also lets you know what twitter accounts you’ll enjoy following. Here’s another social media management tool to save you time and effort! SocialOomph allows you to schedule your tweets for the rest of the day so you’re not glued to your computer. It even automatically follows people who follow you. On the dashboard, you’ll find a way to pool your blog, Facebook, Twitter and LinkedIn accounts in one place. Instead of having an array of social media profiles scattered about on the Internet, you could pull it all into one location on Spredfast. This tool allows you to measure the data from your YouTube, Twitter, Flickr and Facebook profiles so you can see the users you’ve reached and how people engage with you. The information is presented to you in graphs and a calendar even tells you the optimal time to tweet. A very popular management tool that social media users everywhere are utilizing. Connecting all your profiles in one spot, you can schedule your posts and updates with the click of your mouse. Decide on different schedules and make your own social media calendar. It’s easy to use and the interface is nice for both mobile and desktop versions. Here’s a different management tool that’s just as useful, but a bit unique from the others. Instead of scheduling content, Crowdbooster collects the information from your Twitter and Facebook profiles. This immediate visual feedback allows you to see who’s retweeting your content and who views your content. It also lets you see what comments, replies and likes you’re receiving. You can track the growth of your audience and see which updates performed well with readers. As a business owner or manager, you want potential customers to see your updates and view your content. After all, you’re not sending out updates to your followers for the heck of it! You want them to read it, digest it and share it. Social Flow helps you merge valuable content and timely distribution so you can achieve social media success. Using precise analytics, you can also find out when to use paid advertising. Socialbakers: A social media tool that allows users to measure, contrast and compare a company’s Facebook, Twitter, Google+, LinkedIn and YouTube analytics. ManageFlitter: A Twitter tool that helps you manage multiple accounts, use analytics and clean up your account so you can rid of those who aren’t following you. Rignite: This tool makes it easy to post, respond and schedule updates to your social media accounts. They’ll track what’s working and what’s not. Komfo: A social media marketing suite that helps companies understand how social media affects your sales and how to implement great techniques in their business. Post Planner: Schedule content the easy way so you’ll free up your time. They’ll also provide content from the Internet so you don’t waste time searching for valuable articles. ArgyleSocial: Build better relationships and generate leads with this social media management tool with scheduled posting, link tracking and multi-network publishing so you’re always active online. BuzzBundle: Social media management software that shows you what Internet users are saying about your business, lets you know when your keywords are trending and helps you manage conversations with users on multiple social media profiles. Followerwonk: Gain more followers by comparing Twitter accounts, find out what your followers like best and discover more about them, like when they tweet and where they live. Postling: Monitor what people are saying about your business, manage your online reputation and publish your social media content all in one central location.